2018 sees the All Ireland series return to three rounds. Its part of a new system whereby all six clubs will host a round over two years. Down, Cork and West Waterford will hold 2018's three rounds, while Causeway, Carlow and Mallow will host 2019's, with a possibility for a shakeup in the years following. Another feature of the new system is that each of the six clubs will get the opportunity to hold the final round within six years. Hopefully this will lead to a few great All Ireland battles in the years to come! 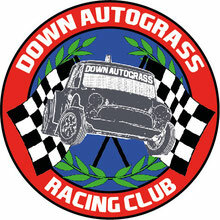 We look forward to welcoming everyone to Down Autograss for Round 1 in June.